El-Shaddai Celebrations was founded in January 2010, by Serena Michael. It is a company designed to help you plan all happy events stress free. The client works very closely with our Events co-ordinator to design your function especially for you, just the way you want it. 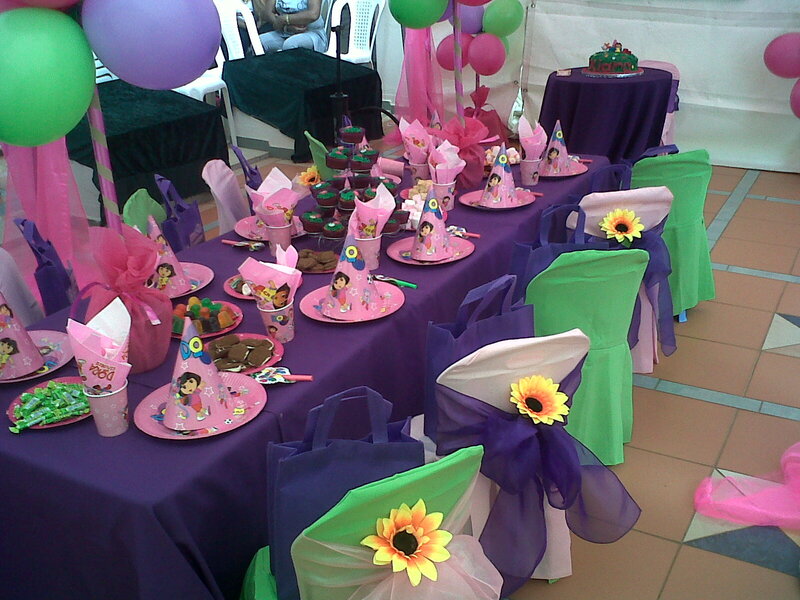 El- Shaddai Celebrations accommodates functions right from the smallest of 20 guests to the biggest of 1000 guests. We do walk-in and walk-out functions, taking the full responsibility and pressure of you. We offer complete function services ie: Events co-ordinator, personalized invitations, floral arrangements and bridal bouquets, sweet / gift boxes, table menus and table seating plans. Complete décor and hall draping, fairy lights, table settings, all cutlery and crockery, linen, waitrons, complete catering and savoury platters. Wedding cakes, birthday cakes, fancy cupcakes, and our own cake boss making novelty cakes and novelty cupcakes. Kiddies complete party packages, with themed setup, party packs, clowning, jumping castles, face painting, balloon modeling and replica Disney mascots. We even cater for your everyday office and boardroom events with platters for your lunch time finger snacks. Our prices are competitive, and our work is set to perfection. We make dream weddings come true and all happy parties happier….